Want a bed that also provides plenty of storage space? Check out the Blair 2-Drawer Bed from Moe's Home Collection, a bed that makes it simple to store blankets, sheets and other items. 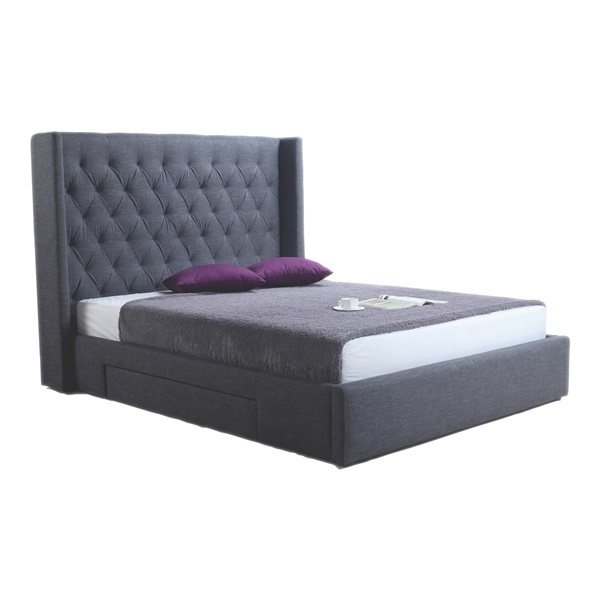 This bed is upholstered with 100 polyester fabric, ensuring maximum comfort. Meanwhile, the bed offers a contemporary platform design that make it ideal for bedrooms of all sizes. Choose a bed that you're sure to enjoy for years to come -- the Blair 2-Drawer Bed. Pros The bed was delayed couple weeks. It was very easy to put together.The only problem is that the drawer casters are too high so the drawer does not fit properly under the bed . ConsThe casters are too high,so the drawer does not fit properly under the bed.